By adjusting your spine, our practice is focused on balancing your nervous system. By now you know that chiropractic care is different from medical treatment. This difference goes beyond the importance of repeated visits. At our practice, the focus remains on the integrity of your nervous system. How do we do it? By seeing YOU. While medicine is interested in the problem in the person, chiropractic is interested in the person with the problem. Another difference? Chiropractic doesn’t treat your symptoms. Sure, patients with symptoms happily report that their symptoms often lessen or disappear with chiropractic care, but that’s not the intent of chiropractic care. Instead, our objective is to reduce the underlying cause of your symptoms. 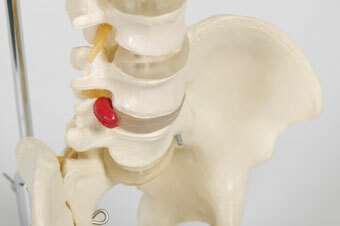 As the cause is reduced (vertebral subluxation), your body no longer needs to sound alarm bells. This difference has allowed chiropractic to thrive beside medicine as a separate and distinct healing art. None of us want to live in a world without medical doctors, necessary drugs or lifesaving surgery—you probably don’t either. However, medicine has its own purpose, intent and outcome. As does chiropractic—that’s why they’re different. If it’s been a while since your last visit, we’d love to see you in our practice soon.